The in laws did good this year! 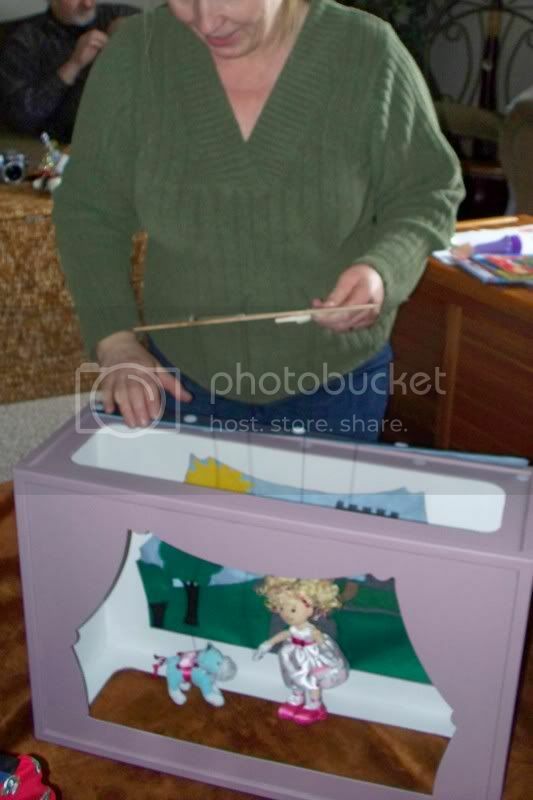 My mother and father in law made a puppet theatre for my 4 year old dd, who has been eyeing up the little tikes model in toys r us for months. 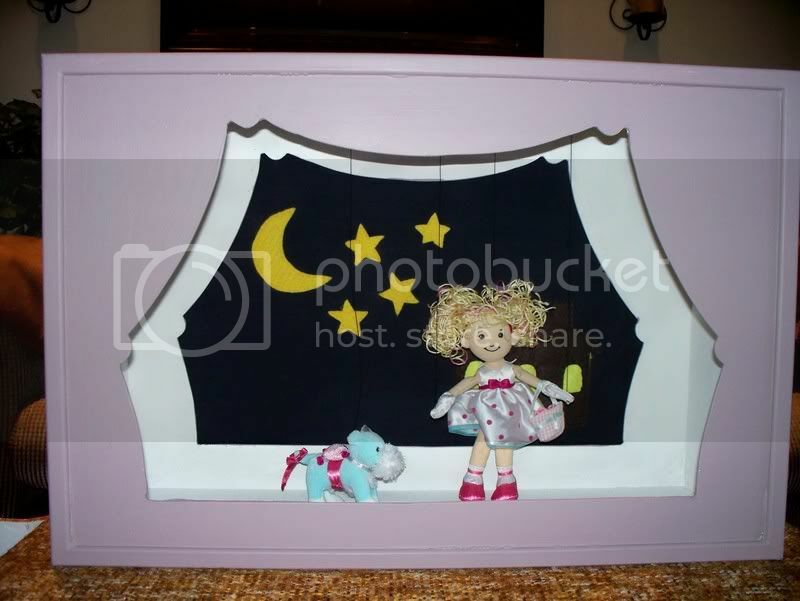 The little one told the grandparents she wanted a puppet theatre for christmas and we quietly mentioned to them that something handmade would be best. And they came through with great style! the theatre is a simple set up, with openings on the top, bottom, front and back. 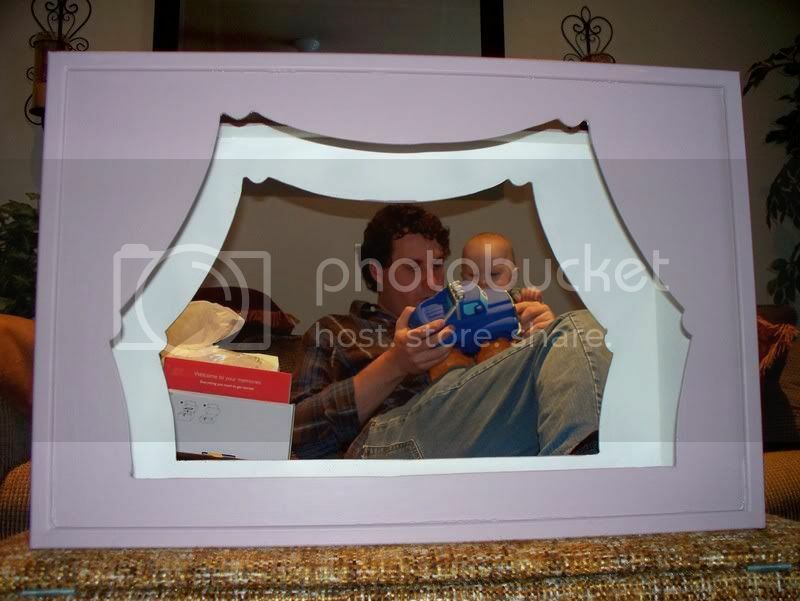 The top has a few velcro tabs to hang a back drop curtain. 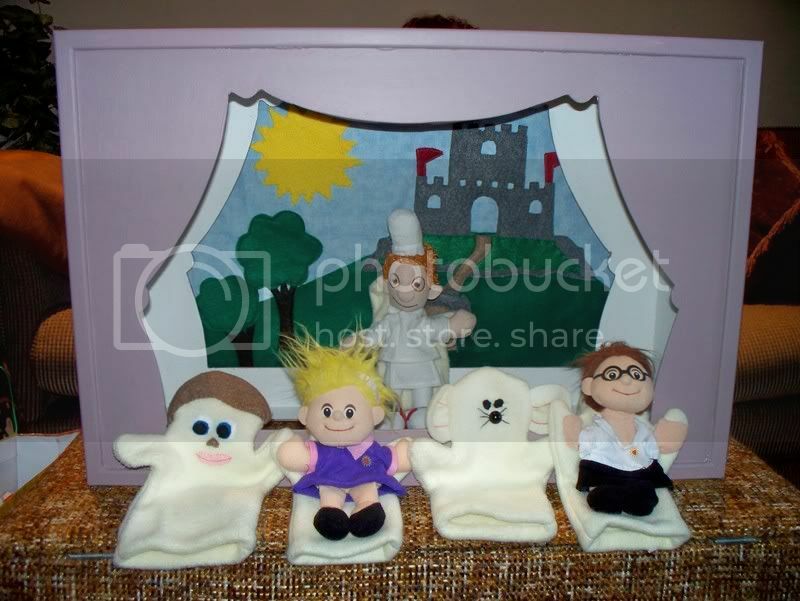 The mil sewed a night scene and a castle scene. Mil also made some hand puppets to go with, which are the mouse and guy, plus some plush toys she found second hand that she emptied the stuffing from the bodies (but not heads) and then stitched to a glove. And they put together a string puppet, which was a purchased stuffie girl and dog, with some of the stuffing removed to make her more bendy. The strings are attached to a couple of paint stirring sticks from the hardware. I'm so very impressed with the theatre. The greatest moment was when my dd announced that the handmade theatre was 'so much better than the one in the store'. yay for in laws with jigsaws! Wow! They did an amazing job. And they thought of everything!